It’s cold out, for me at least, don’t worry Brazil I see how high your reads are on here and I love you for it. But if you’re in Toronto it’s cold and hey maybe you want to prep some warm soup to inhale after a long night of partying with Heavy Meta for Whiteout. So get out your favourite soup pot, and let’s get this delicious and vegan to boot soup ready yeah? Thanks to Simple Vegan Blog for this one btw. 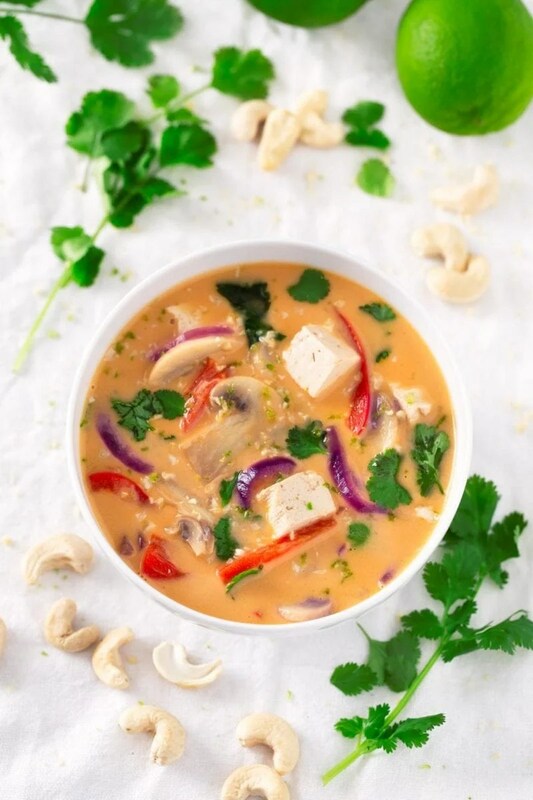 Place all the veggies (onion, red bell pepper, mushrooms, garlic, ginger and Thai chili), broth, coconut milk and sugar in a large pot. Bring it to a boil and then cook over medium heat for about 5 minutes. Add the tofu and cook for 5 minutes more. Remove from the heat, add the tamari, lime juice and fresh cilantro. Stir and serve. Keep the soup in a sealed container in the fridge for up to 5 days. You can also freeze it.